This is Bonnie Raitt live at Wolf Trap (1645 Trap Road, Vienna, Virginia 22182 USA), way back on the 20th July 1977. However a CD version of this gig, gives Washington DC as the location, and puts the show back a month to August. You can often spot a money orientated boot, I guess that was one, however keeping with the Beehive Candy tradition, we share free every time, and withdraw any material if officially requested (we occasionally like to restate that fact, out of personal interest). Source: WLIR-FM Broadcast Reel Master (digital copy). Sound Quality: Extremely good stereo MP3 @192kbps. Genre: Blues, Country, and Rock (unique crossover of styles). Set: Full set (sorry cannot confirm). 11 About To Make Me Leave Home.. 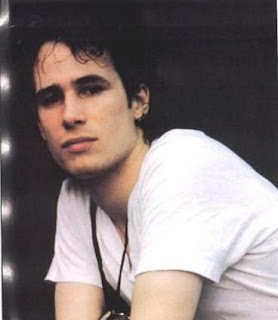 It has been well over a year since Jeff Buckley last appeared on this site, my love for his music has not diminished. I guess in a way it's cyclical, time goes by, and for all types of reasons I am drawn back to playing one of his albums or songs. Because Jeff has already appeared a number of times on the Beehive, it has been easy to put this to one side, also some of the tracks can be streamed on Last FM. However this is a great concert recording, and with Jeff's passing almost twelve years ago (one month from now), lets remember him again as he was, a fabulous artist, a joy to listen to. This is Jeff Buckley recorded live at the Logo Club in Hamburg, Germany, on the 22nd February, 1995. Source: Pre FM (DAT clone). Sound Quality: Very good stereo quality. Genre: Alternative Rock, Folk, Singer songwriter. Known in the USA as The English Beat, and elsewhere simply as The Beat, this is the band live at the excellent concert venue, The Paradiso in Amsterdam, Holland, on this occasion back in 1980. One of the original 2 Tone bands, The Beat along with the likes of The Specials, helped revive Ska in the UK, and appealed to many who had got back in to music, through punk and new wave. Source: FM radio broadcast (Sorry not much info accompanied this boot). Sound Quality: Very good FM stereo mp3 @320kbps. Genre: 2 Tone, Ska, Reggae, New Wave. Set: Most of set, however may have been edited for broadcast (total Playing Time 44:34). 7.Whine And Grine / Stand Down Margaret. 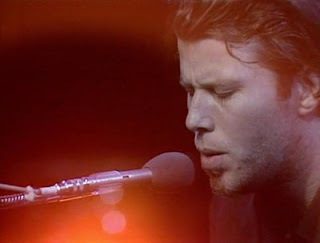 This is Tom Waits live at Club Roslyn, Long Island, New York, USA, or as the venue is more affectionately remembered 'the homely and homey music club - My Fathers Place' (at 19 Bryant Avenue in Roslyn). Indeed it is easier to talk about the venue than to know where to start with Tom Waits. I know I often use this as a get out clause, and I will unashamedly do so again now. For fans this is a must have recording, for those not familiar with Thomas Alan Waits, this captures said gentleman some 32 years ago, with the 'bourbon soaked' voice, on fine form at a wonderful venue. Source: Pre FM copy of WLIR recording. Genre: Should be a personal genre called Tom Waits, however he ranges across, Jazz, Rock, Blues, Folk, Experimental, and we can throw in Vaudeville for good measure. Set: Possibly full set, cannot confirm (track numbered from 2 CD version).